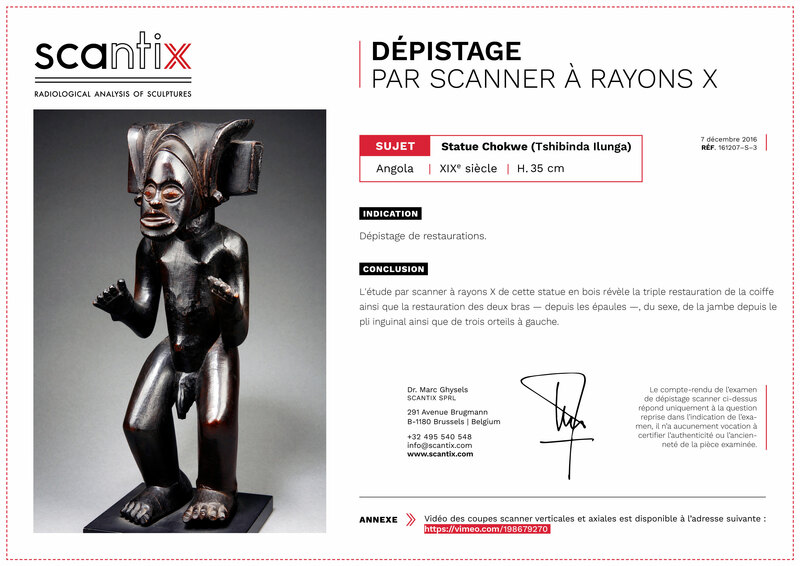 Each screening CT scan of a statue generates a certificate accompanied by a full HD video documenting the scan. The certificate and the video are sent by WeTransfer 24H after the completion of the scan. The video is also uploaded to Vimeo, see an example below.